News of new vehicles is always exciting, especially when they are cars that we adore. The Jeep Gladiator is the perfect example of this – tough, durable, and wholly unique, this SUV was not seen on the road for a while. Check Out the Reveal of the 2019 Jeep Cherokee! The Jeep Cherokee has been a beacon of versatility, capability, and reliability for many drivers. Whether you like traveling off the beaten path or you just need a dependable means of transportation to get you from A to B, then Jeep Cherokee is a great vehicle to trust. Drawing on its history in WWII, the Jeep Wrangler has gone from four-wheel drive utility vehicle to one of the top vehicles on the Arizona roads, both paved and unpaved. Cars.com recently released its list of 'Most American' cars and it's no surprise the Jeep Wrangler and the Jeep Cherokee ranked number one and number two. We know that safety is a concern for Arizona drivers and, with safety technology improving quickly, earning top safety honors is harder than ever. That's why we are pleased to tell you that the Insurance Institute of Highway Safety has named the 2017 Jeep Compass a Top Safety Pick. The Jeep Compass earned 'good' marks in five tests categories. With hot-stamped steel and advanced high-strength steel making up most of its frame, the Compass is built to protect you in a collision. Are you seeking a full-size sedan for your next vehicular purchase? Well, if so, we here at Larry H. Miller Chrysler Jeep Avondale think you may well discover your perfect fit in Chrysler's, the 2017 300. On most models, the 300 receives a 3.6-liter V6 engine as standard. Joining with an eight-speed automatic gearbox, the V6 produces a potent 292 horsepower and 260 pound-feet of torque. While the Jeep® Wrangler has collected a series of awards in the United States, it also has a decent, award-winning reputation north of the border. This month, the Jeep Wrangler took home the 2017 Canadian Black Book “Best Retained Value Award” for FIAT Chrysler Automobiles, Canada. When you're on the hunt for a reliable and worthy flagship SUV that is perfect for conquering roads and trails alike, it is difficult to miss out on the 2017 Jeep Grand Cherokee. While its exterior may come off as more luxurious than its predecessors, this model is more than capable of providing an impressive amount of ground clearance to tackle the most chaotic of drives. Our team at Larry H. Miller Chrysler Jeep Avondale has seen what the Grand Cherokee can accomplish from up close, and there's no better time to do the same. The awards keep rolling in for the all-new Chrysler Pacifica. It has now been named the "Best Minivan of 2016" in the Cars.com "Ultimate Minivan Challenge." The 2017 Chrysler Pacifica was put through rigorous testing, including a 130-miles fuel mileage drive and round-robin testing. 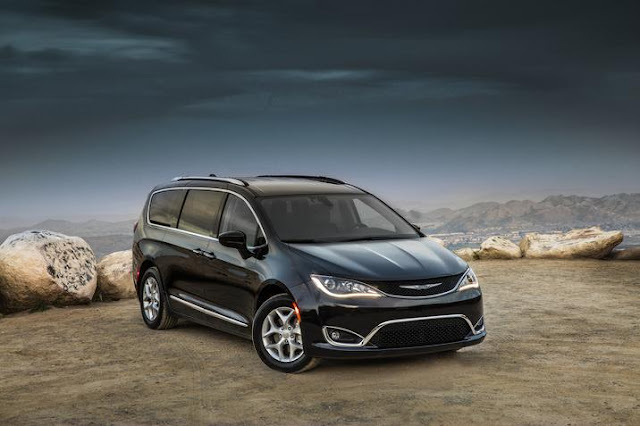 It was a "Champions versus Challenger" approach, as the Chrysler Pacifica went head-to-head with the 2015 Cars.com "Ultimate Minivan Challenge." To get the safest drive possible in your Chrysler or Jeep brand vehicle, it's important that your vehicle is functioning correctly. That's especially true when it comes to your brakes. To keep your brakes safe, make sure you know when to get them serviced. Brake pads: Should be at least a quarter of an inch think. Any less, it's time to replace. 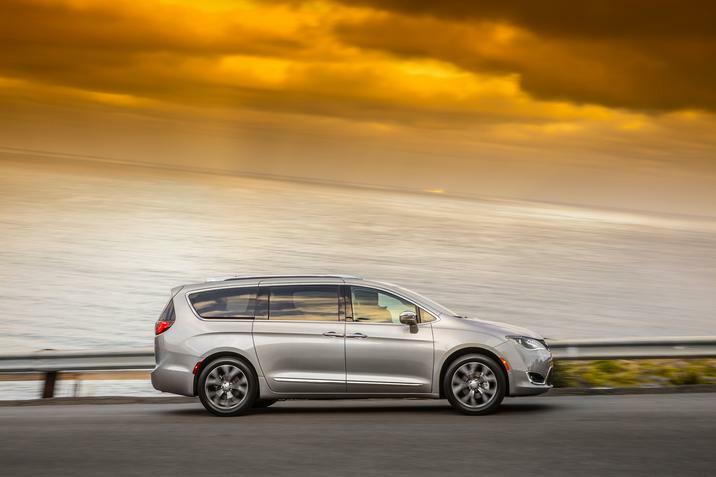 The all-new 2017 Chrysler Pacifica just earned another reason to be your favorite family car. This month, the vehicle earned a rating of Top Safety Pick + from the Insurance Institute for Highway Safety, in addition to achieving top scores for crashworthiness.